I posted this on PY Forums, but thought I'd copy it over here too. S L O W build of my 74 Formula 400. The inspiration for it all: My first car- 1976 Trans Am 455/4 speed. Built it from a POS to this beastie.... then sold it due to stupidity. It's a W66 Red/Red Formula 400/TH400 car. It's lead a strange life- when I got it, there was no motor/trans, but it had SBC clam shell mounts on the frame... and a bunch of 'speed' parts stickers all over the radiator support. I quickly dispatched the SBC stuff and started prepping it to receive some proper Pontiac power again. Everyone was going crazy for US Mags Bandit rims because they look so similar to Rally II rims, but I wanted something different, so I grabbed the Rambler rims in an 18" size. This was necessary to clear the braking system that you'll see shortly. Well, since I know what is involved in making it work, I just gathered my own parts to allow a staggered, C6 Z51 Corvette rear caliper disc brake setup. I just need to measure and cut some brackets to space the caliper upward from the S10 backing plate. I'm using CPP C5 spindles, but have upgraded to C7 Corvette wheel bearings and ARP hardware. In this mock up, I was still using the cheap C5 bearing-- don't do this! Someone stole my dog, the well went dry, the house foundation developed a massive crack that lifted the south side of my two story home! I found a smoking deal on some C7 wheel bearings- these used to be considered race parts, and close to $500 each when they were on the C6 Vettes! They are made by SKF, and average about $110 ea now that GM uses them on the C7's. 18's- This is with it jacked up. The second pic is the driver's side resting on the ground... still a gap, but filled out better. This will look really good with some lowering springs in the rear. Wow, love this build! I would like to know more about that Z51 rear brake kit. I just picked up a complete set of Z51 rotors and calipers with brackets at a swap meet. I already swapped out the C5 rotors and calipers for the big Z51, but was looking to somehow adapt the rear Z51's to the rear LS1 brakes I currently have. Looking forward to this one. I'm glad your son has gotten his hands dirty helping out. Hopefully it will be a nice project for the two of you. He didn't look to thrilled in the first couple of pics. LOL. I would put a gold paint job on that and make a nice Rockford car. I haven't tried fitment with the LS F-car brakes, only the S10 stuff. I am using a standard rear caliper(2 lh sides) and standard abutment. The spacing is achieved in the spacer bracket. Something to always consider- these are E/T acorn nuts. E/T is extended thread-- these give you an extra measure of safety! Nice project, I like the special affects lol. Question - how does the ET nut work, where does the ET go? They go down into the rim, below where the acorn section would normally wedge itself into. If you were to place an E/T acorn into a lug nut hole on a loose rim, you'd see how it goes down much further into the rim (without bottom out and sticking past the back of the rim), thereby offering much more thread engagement to secure the rim to the stud. Whoa!!! I already have the Blazer rear disks. Are you telling me that all I need is the some brackets and maybe some shims and I can upgrade to the 13" Corvette rear disks? The drum in hat parking brake is the same size? I probably wouldn't want to make my own brackets, but would just call him and purchase the brackets and anything else needed. Good luck on your build, I look forward to seeing it. Nice choice of wheels (I have the 17's). You definitely will have great stopping power with that setup. Also, a great father and son project! The ET lug nuts are great; I used them with my previous factory wheels. I was not happy with the factory width of the stud engagement althoudh they say it is all you need. I'll try to dig up my parking brake kit and take a pic of it in the C6 Z51 rear rotor. You can 'almost' get away with a regular C5/C6 rear disc, but the spacing is a little too tight, that's why the C6 Z51 rotor is used. By using the spacer bracket, a regular C5/C6 rear caliper/abutment can be used w/ the Z51 rotor, so no need to buy the Z51 abutment. I already have the big square spacers that fit over the axle tube (shown in your picture above at the bottom). I was just wondering if any shims were required from the extension brackets you are going to make and the caliper abutments. Maybe the top washers in the picture? 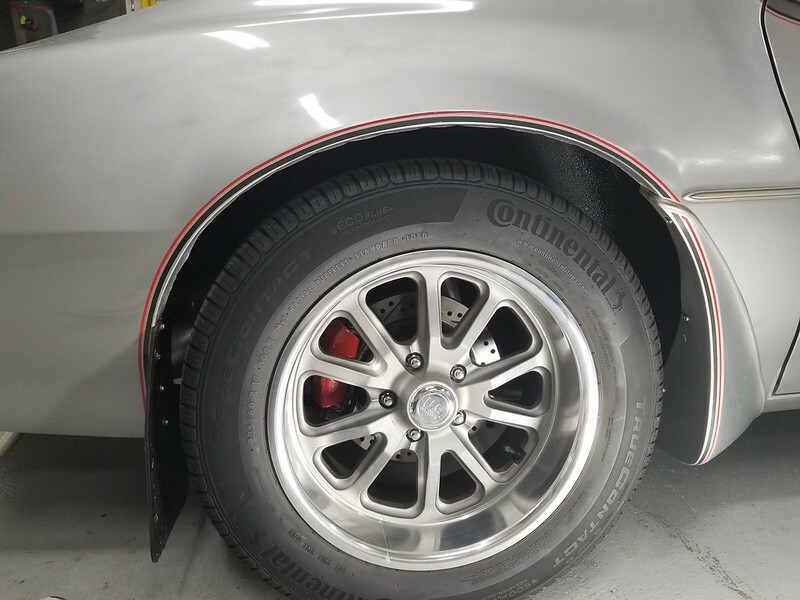 I don't think so- basically, the spacer/adapter plate is bolted to the S10 backing plate on the backing plate side, then the Corvette caliper bolts on to the backing plate on the rotor side- essentially creating a taller, wider mount for the caliper. I think the washers you're referring to are for the caliper mounting bolts. I'll know for sure once I get the plates made. 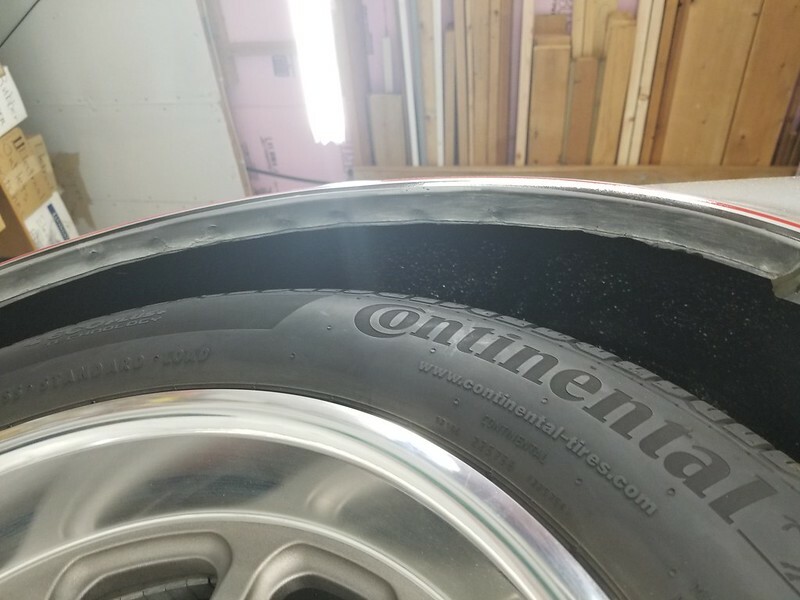 Q: Since you're running the same style of rim, how much clearance do you have at the wheel well lip? I currently have drums on the back, and I imagine the discs are going to space the rim outward a little bit, so I'm curious how you're doing in the rub department. This will look really good with some lowering springs in the rear. You can also use lowering blocks to bring it down. I have the 1" blocks. Thanks for all your responses. It looks like I will be upgrading my rear brakes as time permits. Might as well upgrade the fronts also with the Corvette 12.88" detachable rotors. I never liked rotor in hub anyway. The rims I have are 17 x 8 with the same 4.5" backspacing as the originals. The rear tires are slightly larger than the originals at 28" (235 x 60 x 17). There is no issues with clearance or rubbing. I did have rubbing with the 15's when I had 255 x 70 x 15. What I like about this upgrade (and the fronts) to C5/C6 hardware is you can get the parts anywhere and they are all off the shelf. I got a lot of my Blazer rear disk parts from Amazon! The shoes I purchased at Amazon were the 179-2115 you listed. They are currently not available, although they suggest 179-2118 as an alternative. And then you have the 1792047 number so I am not sure what the differences are, if any. Sometimes there are just superseded numbers. You got me interested in converting to EFI but will see how it works out for you first LOL. I wanted to go efi when I built my motor just because... My builder talked me out of it. Also curious to see how you like it. Looking good I will be following along what plans do you have for motor and trans? Plans: Right now, it's a stock 400/TH400 setup. I'll put a little bit of cam into it, possibly some Rhoads lifters to keep it more docile, a light stall torque convertor, some 6X-4 heads to replace the 4X heads that're on it (I'm not a fan of the 4X castings- every set I've had ended up with cracks in them... maybe it's just my bad luck, I don't know, but I'm not going to bother sinking money into them), some steel roller tip rocker arms, and either a Holley Street Dominator or a Tomahawk's version of a single plane intake. keep the posts coming...along with pictures of course! !